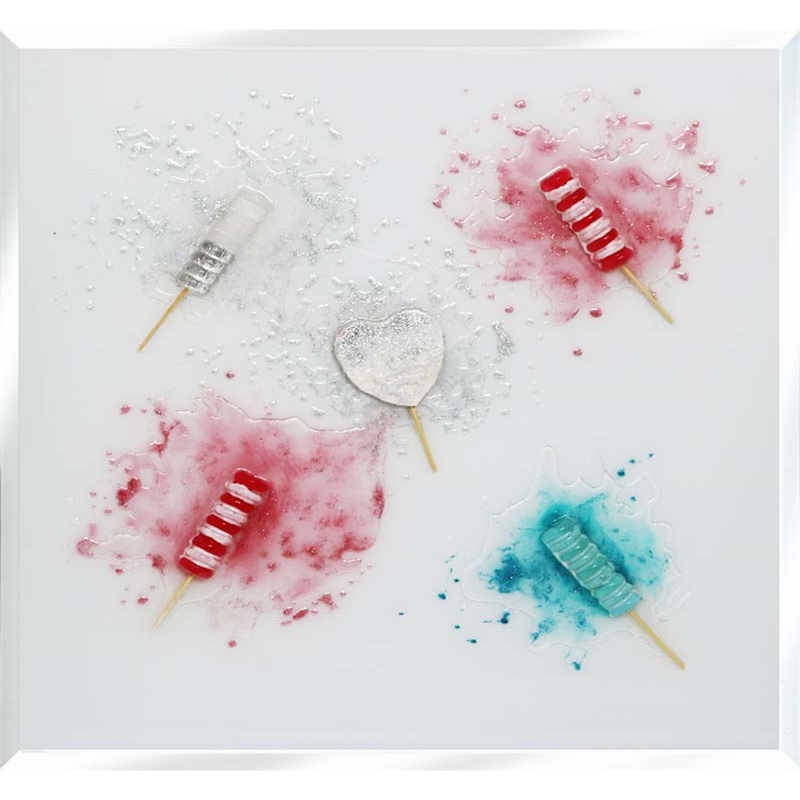 Add a beach and holiday vibe to your home with this beautifully designed Assorted Lolles piece. Keeping your home up to date with fun, modern designs while staying chic with the glitter. This piece was designed and hand made in the UK, it can be custom made to your desired size and fitted with attached brackets. Completed with a classic mirrored frame. Custom sizes available. For further information on pricing, please contact our office on 01642 455589.